In May, states parties to the Treaty on the Non-Proliferation of Nuclear Weapons (NPT) failed to reach agreement on the next steps needed to rid the world of nuclear weapons. In July, Iran and the five permanent members of the United Nations Security Council plus Germany (the P5+1) brokered a Joint Comprehensive Plan of Action (JCPOA) concerning Iran’s nuclear programme. In August, the world commemorated the 70th anniversary of the first use of nuclear weapons. Under the provisions of the NPT, which was extended indefinitely 20 years ago, the five nuclear-weapon states – namely the United States of America (USA), Russia, China, France, and the United Kingdom (UK) – committed themselves to ‘pursue negotiations in good faith on effective measures relating to cessation of the nuclear arms race at an early date and to nuclear disarmament…’ The remaining 185 states parties – the non-nuclear-weapon states – agreed to refrain from developing nuclear weapons in exchange for the acknowledgment of their ‘inalienable right’ to research, develop and use nuclear energy for peaceful purposes. The review conference of the NPT concluded in May this year. After four weeks of extensive negotiations, the conference fell short of producing consensus or a final document outlining measures towards a world free of nuclear weapons. This was attributed to disagreement on the establishment of a nuclear-free zone in the Middle East, to which states parties had committed themselves in 1995. 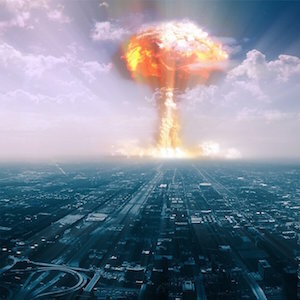 The NPT system now suffers from a credibility and confidence gap: the former given the continued failure of the nuclear-weapon states to negotiate disarmament; the latter due to those same states espousing, on the face of it, the goal of a nuclear weapon-free world, while at the same time modernising their nuclear arsenals and putting global citizens at risk. The deal struck between Iran (itself an NPT non-nuclear-weapon state) and the P5+1 on 14 July has also been divisive. The deal, which is the outcome of more than two years of negotiations, includes provisions for verification, implementation, procurement, sanctions relief and peaceful nuclear co-operation. The preface of the JCPOA establishes expectations that Iran’s peaceful nuclear programme should be ‘consistent with international non-proliferation norms…’ Israel (not a party to the NPT) called the deal a ‘historical mistake’, and many US Republican Party officials plan to oppose it when the US Senate votes to approve it before 17 September. These opponents seem to argue that the International Atomic Energy Agency’s inspection regime in the first 10 years of the agreement would be weak; that to re-impose sanctions if Iran reneged would be too arduous; and, that Iran could, after 10 years, produce a nuclear weapon. Lifting sanctions will be good for Africa, as many countries on the continent have good bilateral relations with Iran. South Africa, for example, has a Joint Commission with Iran and recognises Iran’s important role – both regionally and internationally within global governance and multilateral architecture – particularly as the incumbent chair of the Non-Aligned Movement. In this way, the deal confirms Africa’s position on the quest for nuclear disarmament, along with ensuring that the safety and security of nuclear and other radioactive materials is balanced with the continued delivery of developmental benefits that such materials could provide. This includes through enriching uranium. The deal is important in preventing Iran from continuing its alleged nuclear weapons-related research or development. Yet the irony is that at the NPT Review Conference described above, the US – backed by the UK and Canada – prevented progress on establishing a comprehensive Middle East zone free of weapons of mass destruction. This would have seen Israel, the only country in that region suspected of possessing nuclear weapons, having to disarm. These developments should be seen as especially pertinent given that 70 years ago, on 6 and 9 August 1945, the USA dropped nuclear weapons on the Japanese cities of Hiroshima and Nagasaki respectively. Some 225 000 civilians died, and hundreds of thousands more were injured. A recent report by the International Committee of the Red Cross and the Japanese Red Cross Society highlights how those who survived the blast are still suffering long-term health effects. Commemorations were held in many parts of the world, several under the banner of ‘Never again Hiroshima and Nagasaki.’ Yet, at the NPT Review conference, world leaders – including those from countries that possess nuclear weapons – rejected a call to visit Hiroshima and Nagasaki. At recent conferences in Oslo, Nayarit and Vienna, it has been stressed that the effects of the today’s modernised nuclear weapons would be even more horrific than in 1945, impacting not only on individuals and infrastructure, but also on food security. The global climate would be disrupted and more than a billion people would risk facing famine. A single nuclear detonation would overwhelm the global health infrastructure and make any effective medical response impossible. Experts are convinced that the world does not have the capacity to cope with such a situation. For example, the explosive power of the nuclear weapons carried on just one of the UK’s Trident submarines is said to be equivalent to about 320 Hiroshima bombs. The Humanitarian Pledge, a new initiative launched by Austria last year, which is examining the humanitarian impact of nuclear weapons, has been adopted by 113 states. As more states join, this may lead to multilateral negotiations for the prohibition of nuclear weapons, as has already been agreed to with respect to biological weapons and chemical weapons. Such negotiations could address the lack of a comprehensive legal norm that universally prohibits the possession, transfer, production and use of nuclear weapons. The so-called Iran deal and such a ban would also revive the NPT as a key international treaty, with a focus on preventing further nuclear weapon development and promoting the peaceful use of nuclear materials and related technologies. A total prohibition on all states (including, but not limited to Iran) would be a fitting memory to the Hiroshima and Nagasaki victims and survivors; as well as to all those who have suffered as a result of the 520 or so atmospheric and approximately 1 352 underground nuclear tests that have been carried out.